Big and J BB2 Liquid 1 gal. 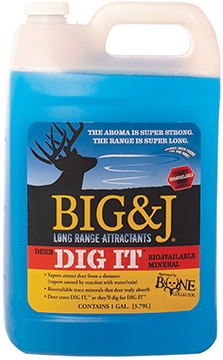 Big and J Deadly Dust Aerosol Spray 12 oz. 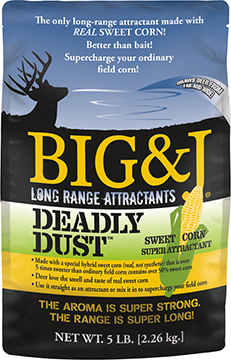 Big and J Deadly Dust Sweet Corn Attractant 5 lbs. 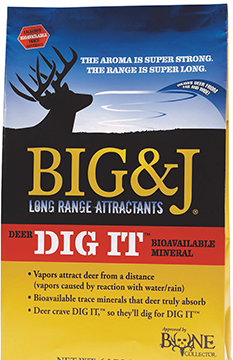 Big and J Deer Dig It 1 gal. Big and J Deer Dig It 4.5 lbs. 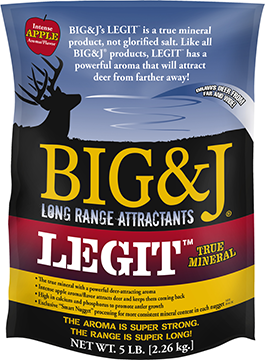 Big and J Legit True Mineral Apple Flavor 5 lbs. 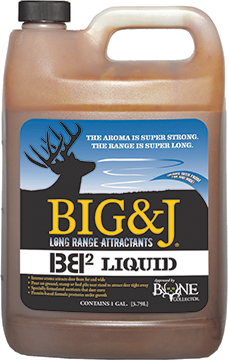 Big and J Liquid Luck Aerosol Spray 12 oz. 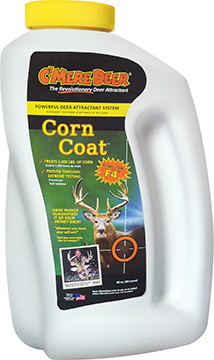 Cmere Deer Corn Coat 4 oz. 3 pk. 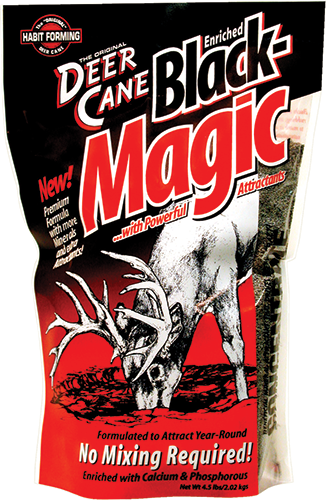 Elvolved Black Magic Attractant 4.5 lbs. Elvolved Black Magic Rack Rock 6 lbs. Elvolved Buck Jam Liquid Honey Acorn 1 gal. Elvolved Buck Jam Liquid Ripe Apple 1 gal. 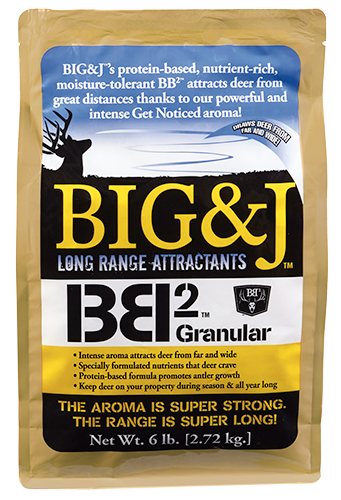 Elvolved Buck Jam Liquid Sweet Corn 1 gal. 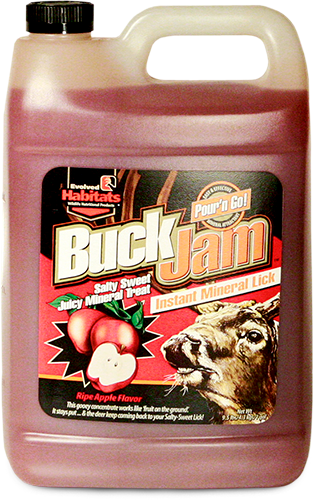 Elvolved Buck Jam Liquid Wild Persimmon 1 gal. 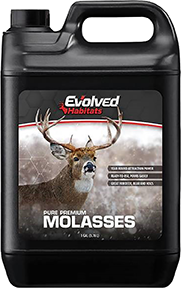 Elvolved Deer Co-Cain Liquid 1 gal. 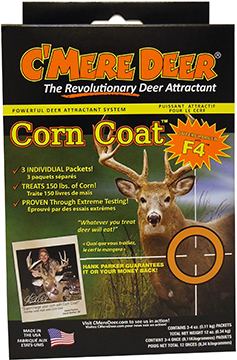 Elvolved Deer Co-Cain Mix 6.5 lbs. Evolved Black Magic Liquid 1 gal. 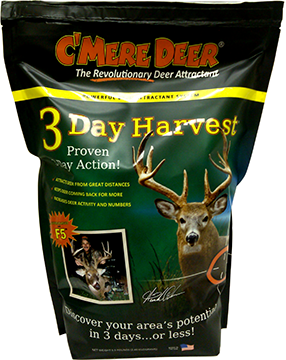 Evolved Deer Cane Attractant Apple 5 lbs. 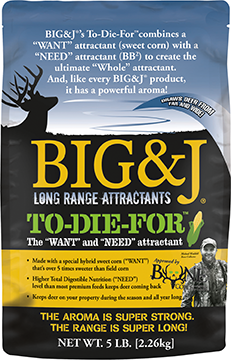 Evolved Dirt Bag Attractant 5 lbs. Evolved Stump Likker Liquid 1 gal.